Buy Look Deeper Live Better, The Relationship Sutras & The Dharma Sutras together and save $. 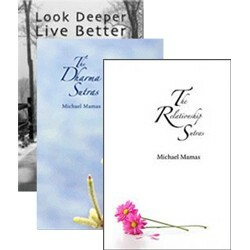 Save $10.27 by purchasing Look Deeper Live Better, The Relationship Sutras and The Dharma Sutras together! They are $14.95 each when purchased separately.